What is an ABI and why is it needed to interact with contracts? ABI is referenced in many places including the official Ethereum website. What is an ABI and why is it necessary to use? ABI stands for application binary interface. In general, an ABI is the interface between two program modules, one of which is often at the level of machine code. The interface is the de facto method for encoding/decoding data into/out of the machine code. In Ethereum, it's basically how you can encode Solidity contract calls for the EVM and, backwards, how to read the data out of transactions. The ABI, Application Binary Interface, is basically how you call functions in a contract and get data back. An Ethereum smart contract is bytecode deployed on the Ethereum blockchain. There could be several functions in a contract. An ABI is necessary so that you can specify which function in the contract to invoke, as well as get a guarantee that the function will return data in the format you are expecting. To avoid a common pitfall when deriving the Method ID, the canonical types must be used, for example uint256 instead of uint. Using a higher-level library such as web3.js abstracts most of these details, but the ABI in JSON format still needs to be provided to web3.js. Note: the ABI is an abstraction that is not part of the core Ethereum protocol. Anyone can define their own ABI for their contracts, and any callers of such contracts would have to comply with that ABI to get meaningful results. However, it is simpler for all developers to use Solidity, Serpent, and web3.js which all comply with the ABI above. Contract Defintion: Formal definition in high-level code (e.g. solidity). Application Binary Interface - ABI: A list of the contract's functions and arguments (in JSON1 format). An account wishing to use a smart contract's function uses the ABI to hash the function definition so it can create the EVM bytecode required to call the function. 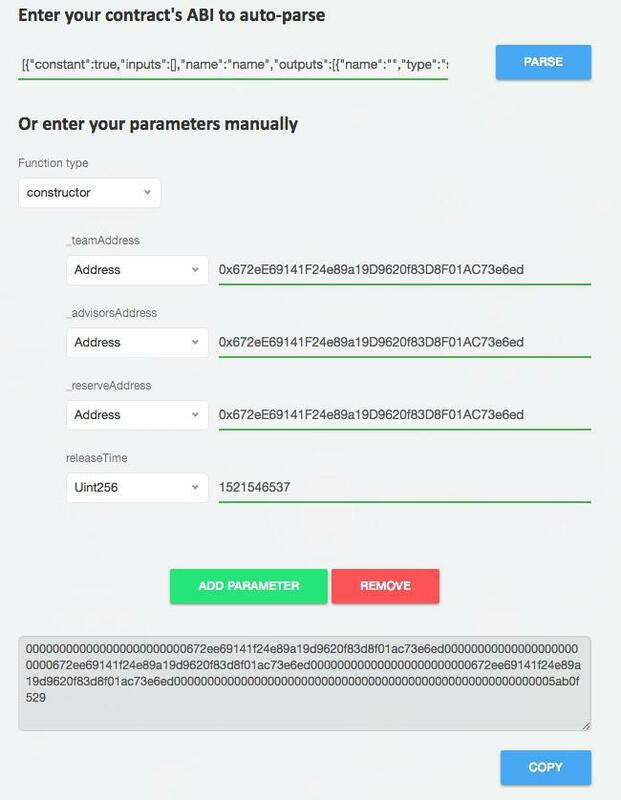 This is then included in the data field, Td, of a transaction and interpreted by the EVM with the code at the target account (the address of the contract). 1Use of JSON is a de-facto standard; it's not in the formal spec but changing it would result in a need to amend many of the tools. think of "ABI" as an "API" at a low level. The API consists of a set of routines, objects, etc. that you can use in your code to access the functionality of that external component. An ABI is very similar. Think of it as the compiled version of an API (or as an API on the low level). as you know The contract are stored as bytecode in a binary form into the blockchain under a specific address. so you can accesses the binary data in the contract through the ABI which indicates to the caller the needed information (functions signatures and variables declarations) to encode a meaningful(understood by the VM) call to the bytecode(contract). The ABI defines the structures and methods that you will use to interact with binary contract (just like the API did), only on a lower level. additional info "from the official doc"
We assert that all contracts will have the interface definitions of any contracts they call available at compile-time. "How these bytes are interpreted into structured data is up to the program and thus up to the programming language used. In order to make it possible for two programs written in different programming languages to call each other, the compilers of such languages should implement the serialization and deserialization of data in the same way, i.e. they should implement the ABI specification, but they do not have to." tl;dr a contract written in Solidity can interact with a contract written in Viper or Bamboo because they all implement and adhere to the ABI specification. You insert the abi code to automatically parse parameters types or just enter them manually. In Function type selector constructor should be picked. Here is an example, at the bottom are abi-encoded parameters that you enter in etherscan.io constructor parameters field input. Not the answer you're looking for? Browse other questions tagged contract-development evm dapp-development contract-debugging abi or ask your own question. How to make sense of the “data” sent to execute a contract? Why do we need to specify ABI when using a contracts function? How to quickly test a Solidity function? 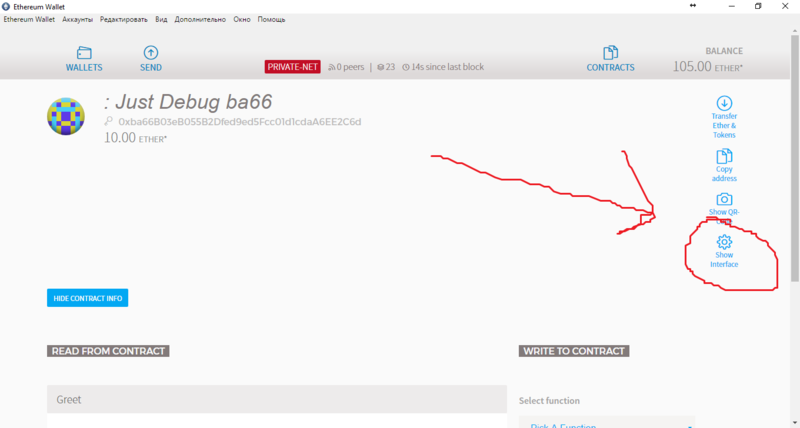 How can I verify that a contract on the blockchain matches the source code? How do you get a json file (ABI) from a known contract address? Why do some functions from my contract end up in the ABI while others don't? Why aren't all contracts compiled? Do you need to publish the contract ABI and address for others to interact with the contract? How to get a variable from the smart contract with web3 and abi? What is a good implementation to get function signatures from contract ABI? Can you obtain the ABI of a smart contract using the contract address and contract code? Is remix ABI generator still working? Can separate ABIs be concatenated into a single file? contract reference another contract, what ABI information needed?